By far my most disappointing show of the season, Sakura Quest on its best day has been…fine. Just fine. Not even good, but not really bad, and I don’t plan on dropping it anytime soon. The thing is, as I explained in a post a little while back, its characters haven’t earned their place. They’re poorly establish and offered me barely any connection to latch onto, each failing to feel like they serve a legitimate purpose, their positions in the show appearing as if just pulled out of a magician’s hat. They have minimal personalities, little to no focused plot lines, and when they do have a sliver of something that could be considered “unique”, they’re allowed no time to let that shine. Really, I just don’t care about Yoshino or her friends, and there is no way in hell that this was the show’s intended design. In a show like this, surely the characters are meant to be latched onto, to relate to and care for, but after execution I feel barely anything for them. I don’t understand most of their desires for trying to rejuvenate some decrepit village in the middle of nowhere, nor can I comprehend their resolve after an entire season of failures. And yet I keep watching, waiting to be impressed because I’m just as naïve as these characters. A very funny show, one that carries itself on self-referential and absurdist humor. Love Tyrant is chalked full of jokes and love, which coincidentally happen to be two of my favorite things. Its playful scenarios and wild plot developments set the scene for tons of meta jokes, romantic teasing, and reactionary humor that ranges from ironically calm to bombastically murderous. All that paired with charming notions/themes of love left me far more intrigues with the show than I had expected. I didn’t like the characters until I did (around episode 4), and after that I found myself really enjoying them and the show as a whole. The season even wrapped up nicely so that it wouldn’t need a season two, though I certainly wouldn’t be opposed to watching if another season were to come. My absolute favorite of the season, Saekano Flat really outdid itself for its second season. While I won’t go into depth about it because I already wrote a full review, I will mention a few things that I loved about this season. The consistent progression of the characters and clear focus on core characters, leaving out others like Michiru to give other important characters the attention they deserve—it was really great seeing all this, as the growth of the characters not only in terms of their relationships, but as creators was perfect, and brought them to an interesting new place by the end of it all. 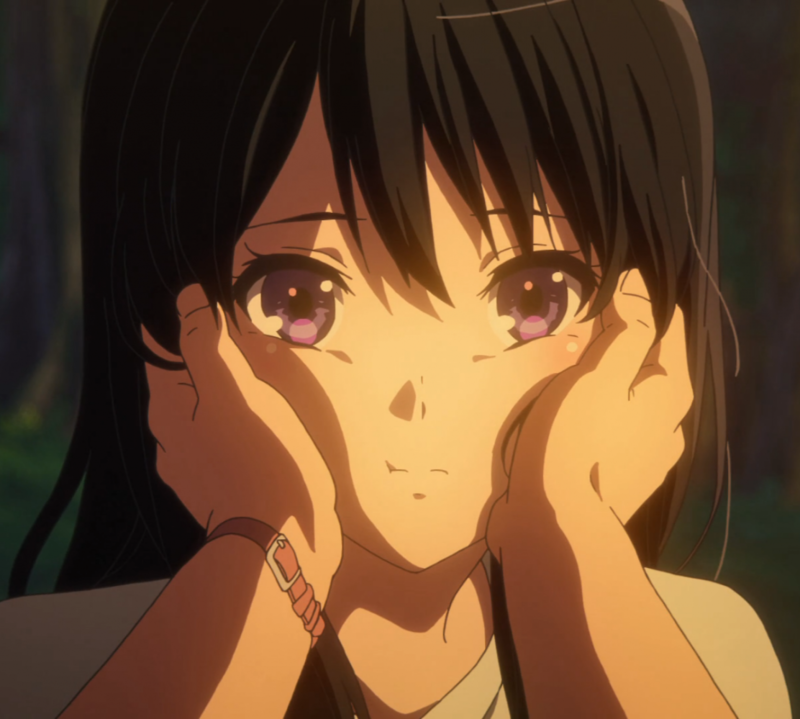 It’s quite rare to witness such a change in a harem anime, and it’s what really sets Saekano apart from a lot of other high school rom-com dramas. I’ve only watch like three episodes of Re:Creators, but it seems alright. As for Eromanga Sensei, I have a little more to say about it so I’ve decided to save it for another post. I’ve also decided to pick up My Hero Academia, and I’ve already watched what’s available of Little Witch Academia, which is damn good. If I’ve missed anything you think is worth watching from the season, please let me know in the comments! Other than that, hope you have a nice day, night, or twilight, and thanks for reading.